I can see a few people saying; “of course you can run a marathon, you’re running 10km events right now” well it wasn’t always like that. Two years ago I saw an event in the newspaper which was 5kms in distance and had a beginners programme attached. At the time I thought “I can do that, how hard can running 5kms be? ?” so I printed out a copy of the training regime, pinned it to the board beside the fridge and ticked off each training day as I did them. Day 1 – Four lots of “jog 4 mins walk 2 mins” – that is like two laps of an oval, how hard could that be? It was IMPOSSIBLE. I am not exaggerating here, a four minute jog was too hard, so I did three and walked three. When finished, 24 minutes later, I hurt, felt nauseous and said “there is no way I’ll be able to run 5 kms”. Bottom line is I stuck to the programme, heading out into the cold and wet to the local park, for only three times a week with the biggest single commitment being 48 minutes, and fronted up for my first ever fun run at the age of 46, ready to tackle a five kilometre event. 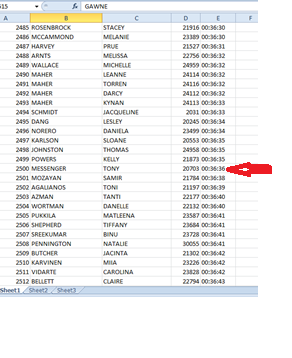 And 36 minutes 36 seconds later I crossed the line in 2,500th place (from a field of 4,440). I’d gone from a bloke who couldn’t run 750 metres to one who could go 5 kilometres, only slowly and with a walk break and the drink station mind you, but I’d crossed the line and was hooked. A goal was immediately set – I’m going to run 5kms in under 30 minutes. Two years later I still haven’t reached that goal!!!! I am resigned to the fact that I’m slow but I have the will power to go further so instead of going 6 minute k’s until I bust, I just keep adding distance. For anyone who is starting out, there are numerous “apps” that can help you to get started, friends have used and swear by “Couch to 5k”, you can search the web for paper based ones (I used paper as at the time I had a Nokia brick, apps weren’t my thing!!!) or if you’re really desperate ask me and I’ll send you a copy of the one I used. There are a plethora of 5km events you can enter, each and every area in the world has them, just search the web. Personally I entered quite a few that raised funds for various charities, but found it a little hard without a training programme. I’d finished the 10 week guide, what did I do next? If an event was in four weeks time did I just repeat the last 4 weeks of the regime? That’s what I did, but as the training was for a beginner I was probably not improving in any way, just keeping things steady, I’d always be a beginner. The biggest boon that I’ve become involved in is the local ParkRun a weekly 5 km free timed run for all comers. 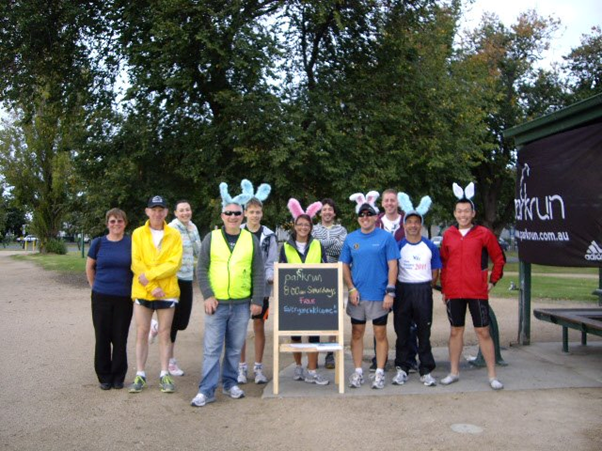 A friendly event that is organised by volunteers and takes place around Albert Park here in Melbourne. If you visit the general ParkRun website you’ll find that there are events in Australia, Denmark, Iceland, New Zealand, Poland, South Africa the United Kingdom and the USA and if any of the others are half as good as my local one in Melbourne, you’ll be welcomed with open arms. Even though there are guys running the event in 17 minutes or so, the atmosphere is friendly and encouraging and if it takes you 40 minutes to finish, there are still the volunteers at the finish line, cheering you on and giving you all the encouragement you need to come back and have another try the following week. How cool is that? A free event where people just enjoy themselves!!! Of course I’ve run the Albert Park run at 8am on a Saturday 10 times now (and volunteered a further three) but am currently having a hiatus as it clashes with the kids Saturday morning soccer. But since I started running with them in January this year I’ve managed to get my time down from 36.51 to 32.48 so that 30 minute goal I set two years ago is still a possibility. Add to that the friendly advice I’ve received along the way and the encouragement and help has led me to the 10km event I ran last weekend, and of course my eventual journey towards a full marathon. So the only real advice I can give is – give it a try – get yourself a pair of runners, find a basic training programme that suits and give it a go – who cares if it takes you 3 or even 6 months to eventually be able to jog 5 kms? You’ll find that nearly everyone you come across on your adventure will be encouraging, they were all beginners once too, and those small words to keep you going will do just that. Thanks for your kind words Nikki. As you can tell I'm not getting any faster, just running further. That's now the challenge instead.